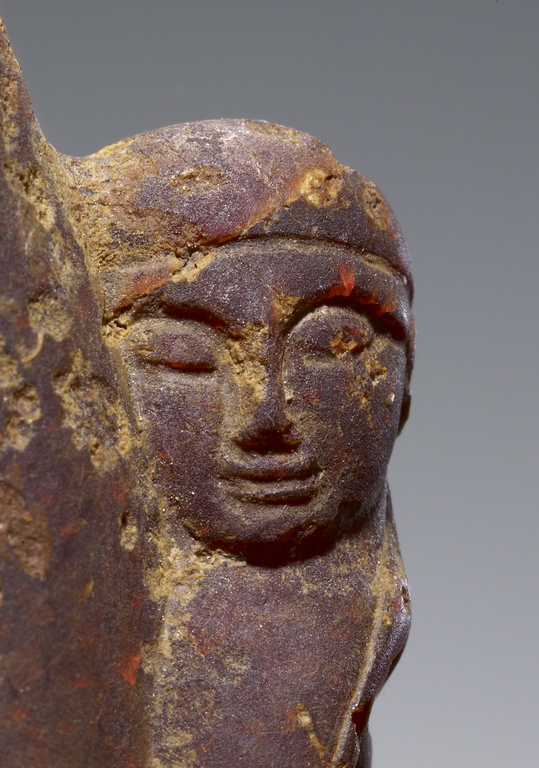 A kourotrophos is a type of Etruscan sculpture depicting a female figure carrying a child. Like on this amber pendant at the Getty Villa, where she's got her kid in a baby wrap. OG. There are more pics at the Getty site, in case you want to recreate this look yourself.